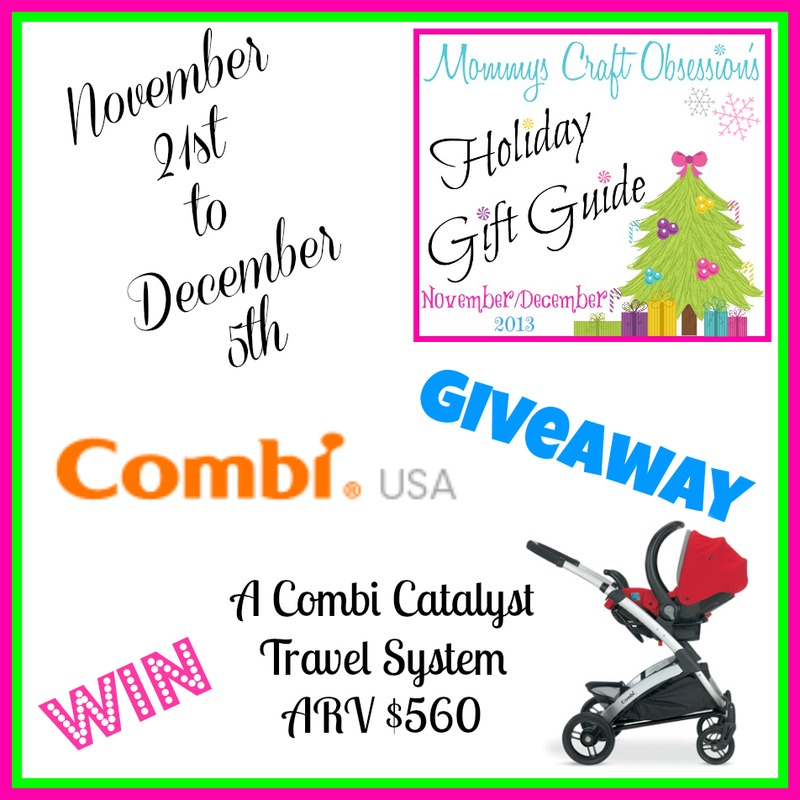 Welcome to the Combi Giveaway! Give your little one the gift of a new comfy infant car seat and high quality stroller! 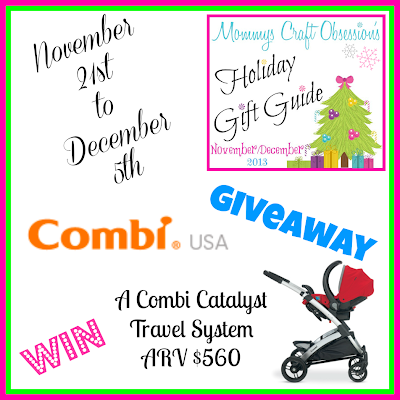 WIN a Combi Catalyst Travel System! Cohosted by Our Piece of Earth & Crunchy Livin Mama Style! The Giveaway will close late on the evening of December 5th. The winner will be chosen at random through Giveaway Tools. The winner will be announced both on Giveaway Tools form as well as notified by email and announced on Mommys Craft Obsession’s Facebook. The winner will have their prize sent to them by Combi. Mommys Craft Obsession is not responsible for prize shipment. Must be 18 years and older. Facebook, Twitter, Pinterest, and Google are in no way affiliated with this giveaway. No Purchase Necessary. US Only.